Giuseppe Verdi is a 1938 Italian biographical film directed by Carmine Gallone and starring Fosco Giachetti, Gaby Morlay and Germana Paolieri. The film portrays the life of the composer Giuseppe Verdi (1813-1901). The casting of Giachetti as Verdi was intended to emphasise the composer's patriotism, as he had recently played patriotic roles in films such as The White Squadron . The film was made at the Cinecittà Studios in Rome. The film is also known by the alternative title The Life of Giuseppe Verdi. Carmine Gallone was an early acclaimed Italian film director, screenwriter, and film producer. Considered one of Italian cinema's top early directors, he directed over 120 films in his fifty-year career between 1913 and 1963. Fosco Giachetti was an Italian actor. Gaby Morlay was a French film actress. Germana Paolieri (1906–1998) was an Italian actress. During the 1930s she became a leading lady of Italian cinema appearing in major films such as the 1938 biopic Giuseppe Verdi. Luce nelle tenebre is a 1941 Italian drama film directed by Mario Mattoli and starring Fosco Giachetti. Life Begins Anew is a 1945 Italian melodrama film directed by Mario Mattoli and starring Alida Valli, Fosco Giachetti and Eduardo De Filippo. 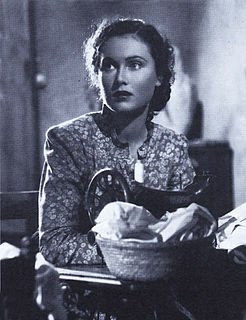 It was the second most popular Italian film during 1945-46 after Roberto Rossellini's Rome, open city. Antonio Cagnoni was an Italian composer. Primarily known for his twenty operas, his work is characterized by his use of leitmotifs and moderately dissonant harmonies. In addition to writing music for the stage, he composed a modest amount of sacred music, most notably a Requiem in 1888. He also contributed the third movement, Quid sum miser, to the Messa per Rossini, a collaborative work created by thirteen composers to honor Gioacchino Rossini. Bengasi is a 1942 Italian war film directed by Augusto Genina and starring Fosco Giachetti, Maria von Tasnady and Amedeo Nazzari. The film was shot at Cinecittà in Rome. The film was a propaganda work, designed to support the Fascist regime of Benito Mussolini. It portrays Allied atrocities in "Bengasi Italiana", such as the murder of a peasant by a group of drunken Australian soldiers. Headlights in the Fog is a 1942 Italian drama film directed by Gianni Franciolini and starring Fosco Giachetti, Luisa Ferida and Antonio Centa. The film's art direction was by Camillo Del Signore. It was made at the Palatino Studios in Rome and on location in Piedmont and Liguria. Resurrection (Italian:Resurrezione) is a 1944 Italian drama film directed by Flavio Calzavara and starring Doris Duranti, Claudio Gora and Germana Paolieri. It is an adaptation of the 1899 work Resurrection, the final novel by the Russian writer Leo Tolstoy. It was one of a significant number of Italian films based on works of Russian literature made during the era. It was made at the Scalera Studios in Rome. Naples Will Never Die is a 1939 Italian comedy film directed by Amleto Palermi and starring Fosco Giachetti, Marie Glory and Paola Barbara. A young French tourist on holiday in Naples meets and falls in love with an engineer. She marries him, but finds his family overbearing and traditional while they condsider her to be too extrovert. She leaves him and returns to France, but the couple are eventually re-united. The Secret Lover is a 1941 Italian drama film directed by Carmine Gallone and starring Alida Valli, Fosco Giachetti and Vivi Gioi. It was made at Cinecittà in Rome. The Two Orphans is a 1942 Italian historical drama film directed by Carmine Gallone and starring Alida Valli, María Denis and Osvaldo Valenti. It was based on the play The Two Orphans by Adolphe d'Ennery and Eugène Cormon, one of a large number of film adaptations. It was made at Cinecittà in Rome. The Ten Commandments is a 1945 Italian drama film directed by Giorgio Walter Chili. 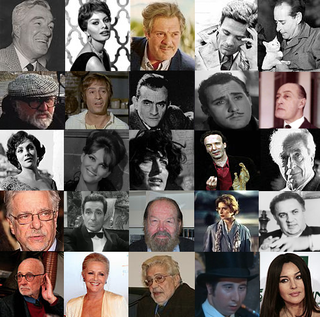 It features an ensemble of Italian actors in episodes based on the Ten Commandments. The Sinner is a 1940 Italian drama film directed by Amleto Palermi and starring Paola Barbara, Vittorio De Sica and Fosco Giachetti. The Gift of the Morning is a 1932 Italian comedy film directed by Enrico Guazzoni and starring Germana Paolieri, Carlo Lombardi and Arturo Falconi. It was based on a play by Giovacchino Forzano. It was made by Caesar Film at the company's Rome studios. La Wally is a 1932 Italian musical drama film directed by Guido Brignone and starring Germana Paolieri, Isa Pola and Carlo Ninchi. It is an adaptation of the 1892 opera La Wally by Alfredo Catalani. The Woman of Monte Carlo is a 1938 Italian drama film directed by André Berthomieu and Mario Soldati and starring Dita Parlo, Fosco Giachetti and Jules Berry. A separate French version Unknown of Monte Carlo was released the following year. Landy, Marcia. The Folklore of Consensus: Theatricality in the Italian Cinema, 1930-1943. SUNY Press, 1998.